Located at the southern end of Tarpon Bay Road, at the intersection of Tarpon Bay Road @ West Gulf. The beach is 8/10 mile south of Periwinkle Way. A parking lot is located 1/10 mile north of this beach access point on Tarpon Bay Road (check parking rates here). If visiting the beach with your pet, please remember that pets must be on a leash, and you must clean up after them. Tarpon Bay connects the north of the island to the south, running from Tarpon Bay in the north to a public beach in the south. 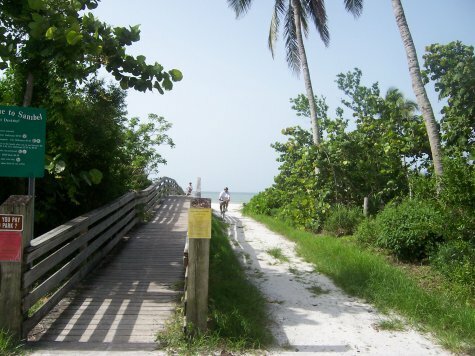 There is no bike path north of San-Cap Road, but the road (which ends at Tarpon Bay Explorers) is fine for biking. 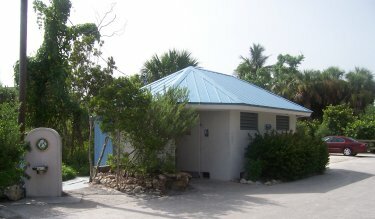 At the beach access point, you'll find water, showers, and restrooms which are open from 7AM to 6PM. To see only the Tarpon Bay Road bike path, uncheck the Show all bike trails checkbox below the map.